Most of us have been to the Adventure Science Center. It’s just a part of being a kid, or ever having been a kid, in the Nashville area. Much of the student body, I’d wager, has been there multiple times. Last Tuesday, April 7th, was one of those times for me. Mrs. Carney’s physics class took a trip to the Adventure Science Center. After last minute permission slips and trip money was turned in, I piled into the bus along with the rest of the class. Everyone spread out into small groups once we were allowed into the center. The interior was more akin to a playground then what one would expect from an educational center. Younger children on similar field trips were running throughout the building, playing on slides, climbing ladders, and doing just about any activity in the center that didn’t involve reading. Eventually I started doing it too. High school students were spread out through the building reading factoids about the human body and looking at pictures of far off planets and moons. I’m not sure if it’s possible to be too old to enjoy the Adventure Science Center, but if that age exists, I won’t be reaching it for a very long time. The class was split into two groups, while one group was running around and enjoying the various activities, the other group took a turn in a back room partaking in a physics project. 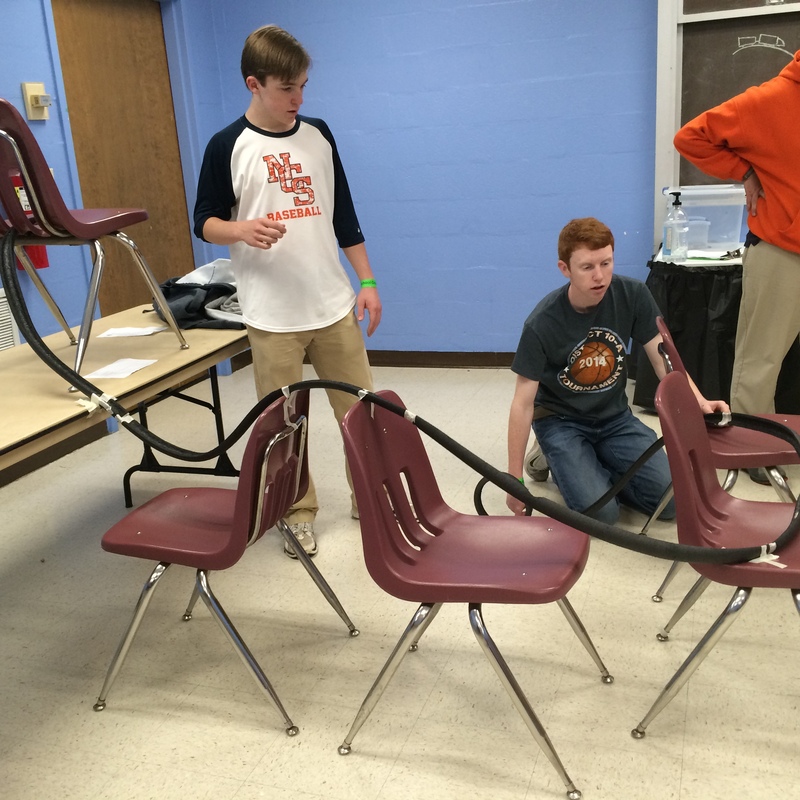 Students paired up in groups and used foam tubes and tape to create a roller coaster for a small metal ball. The goal was to create the steepest drops and the most loops, but in the end, it was more about making your coaster look cooler than everyone else’s. Field trips like this are a much needed break from the classroom setting. Don’t get me wrong, our brains would rot if we weren’t forced to sit down and listen to a lecture every once in a while, but sometimes learning can be fun, and sometimes it can be an adventure.